Behind New York, San Francisco is the second most densely populated city in the US. Surrounded by the Pacific Ocean and San Francisco Bay, this city is a fantastic place for industry pioneers. If you’re one of them, you’ll be happy to know that there is no shortage of San Francisco SEO companies. In fact, you may end up being confused by the sheer amount of choice out there, which is why we’ve decided to put together a list of the best companies that do outstanding work when it comes to SEO. Keep on reading for more details. With an average ROI of 221%, Meehan Digital is another top contender for the best SEO company in San Francisco. Their SEO services are highly customized and conversion-driven at the same time, which means you will be in good hands if you decide to trust them with your business. When considering top companies in San Francisco, one of the names which cannot be overlooked is RSO consulting. With their data-driven approach to SEO and digital marketing and a strong focus on analytics, the results are guaranteed. Spokes Digital is the emerging digital transformation partner in California. They are expert in all the digital marketing services and IT solutions. They provide SEO, PPC, and software development services. Spokes Digital helps you grow your business with the best transformation solutions. You don’t have to grow your company alone. We take the ever-changing landscape of digital marketing and bring you a customized strategy based on your needs – not someone else’s. Then we implement, test, and refine so your brand is always leading, not following. It’s the Forward Push way. At SEO Pro Hub, we're an SEO firm focused on providing you the best SEO services at a price that no other SEO agency can provide. Supported patented technologies and driven by digital marketing experts, Creative Tinge’s online marketing platform delivers lead generation, marketing automation, search engine optimization, social media marketing and online reputation management with ease. MeetGeraldine's team creates 3-month SEO campaigns that speak to our clients' company culture, service offerings and future goals. Their SEO7 System process focuses on 7 different SEO methods creating a holistic approach to web optimization meeting the requirements of multiple Google Algorithms. When it comes to Hero Digital, their list of clients, which includes giants such as Sephora and Western Digital, speaks volumes about their work and the kind of results they are able to produce. At the same time, they aim to provide a world-class experience for their clients. KO Websites is not only known for its SEO services in Bay Area, but also for their affinity for old school client-customer relations which are based on a combination of trust and new technologies. Outstanding support is just a part of that package. WebFume Technologies LLC is a Website design and online marketing company based in Walnut Creek, California, USA. To accommodate various types of law, they offer customized digital marketing and website solutions that best suit the requirements of any segment of law. 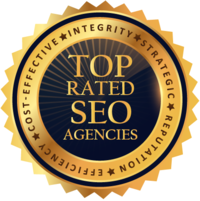 Motava is one of the top SEO companies in Bay Area which features experienced marketing experts as members of their staff. They are dedicated to developing clients’ online presence in a thorough and systematic way with clearly measurable results. Founded in 2012, Proleadsoft is a San Francisco search engine optimization company which also complements their SEO services with application development and web design, among other things. California SEO Professionals specializes in offering scalable SEO and digital marketing solutions to small and medium-sized companies. They first learn from you about your business and then dig into your business and marketing objectives and see what will work best for you. 3Q Digital is one of the best SEO companies in Chicago whose team regularly keeps up with the ever-changing SEO trends. They also use their unprecedented expertise to enable clients to discover and capture customers at every stage of the purchase funnel. Adlift is an SEO company whose SEO solutions are ROI-driven, but more importantly than that, their services are highly customized, which means clients will never have to pay for something that they don’t really need. Tandem is an SEO firm which aims to solve their clients’ biggest problems, such as ranking, and user-oriented design, while relying on platforms such as Drupal, Laravel, and WordPress to achieve that goal. FINE is a premier San Francisco SEO firm and a digital agency whose diverse portfolio includes everyone from small businesses to Fortune 500 companies in niches such as banking, finance, wine and sports, and hospitality, just to name a few. Golden Gate SEO is one of the best San Francisco SEO companies whose activities and services cover just about every single type of SEO you can think of, including SEO for mobile, local businesses, e-commerce stores, YouTube, and even Amazon. Mr. SEO is a small San Francisco SEO company, but don’t let that fool you, because they are experts at what they do, plus they focus solely on SEO for small businesses. This makes for better communication and customer support. At Mint Design Agency, their skilled staff realizes that SEO and website design go hand in hand when providing a great UI/UX, and they offer both of those services at an affordable price. San Francisco, a leading, innovative tech hub, is synonymous with entrepreneurship. Home to a dazzling number of first-class tech companies such as Uber, Zynga, and Dropbox, the Golden City offers diversity and innovation that can rarely be found elsewhere. The City by the Bay holds first place on the Global Cities Outlook, ranking for the third year in a row. San Francisco deserves the top spot thanks to its continued strength in innovation, as well as its potential future importance. Additionally, the 2012 study by the Bay Area Council Economic Institute and Booz & Company has shown that 35%–40% of all venture funding in the US flows into the Bay Area every year. While a very attractive place, San Francisco is also a very challenging and relatively expensive city to do business. This fact emphasizes the need for a good SEO agency that will place you in front of your target audience and maximize chances to boost your traffic and conversion rate. We’ve provided you with the overall list of the top San Francisco companies. In the following section, we’ll present you with our absolute favorites in three distinct categories: local SEO, digital marketing, and e-commerce. If you decide that you prefer pay-per-click marketing, you can always check our list of the best PPC agencies in the US. The team behind Bay Area SEO Pros develops customized options that work with the unique business goals of the client. All of their strategies are focused on bringing in a high return on investment. Additionally, the team strives to build strong relationships with each client, and they only begin working with a client if they can confirm the best results for them. AIM offers customized SEO services that help clients increase their online visibility and land the highest rankings. They provide a range of services; however, they are best known for their AIM Local-Pro program specifically aimed toward boosting the credibility and online data consistency for local businesses. KO Websites is not only known for its SEO services in the Bay Area, but also for its team’s affinity for old-school client-customer relations, which are based on a combination of trust and new technologies. Outstanding support is just one part of the package. Discover the best local SEO companies in the country. BayCreative is a full-service marketing agency that offers a wide range of services, from SEO and PPC to videography and branding. Founded in 1997, this San Francisco–based agency comes with an experienced team who provides a collaborative approach and the kind of support that develops effective strategies to fuel business growth. Camp Creative is a premier online marketing and branding agency committed to making meaningful connections between brands and people. Their strategies are fueled by powerful insights into the digital behavior of the client’s target audience. When it comes to Hero Digital, their list of clients, which includes giants such as Sephora and Western Digital, speaks volumes about their work and the kind of results they can produce. At the same time, they aim to provide a world-class experience for their clients. Let’s be perfectly blunt here: Victorious SEO’s services are absolutely superb. In fact, they may very well be the best company in the area, considering the Victorious SEO reviews. Their key client list includes companies such as Yahoo, which proves their services are top-notch. SevenAtoms is a San Francisco SEO agency that utilizes cutting-edge methodology in order to significantly boost their clients’ ROI while making use of the collective power of content marketing, SEO, and social media. They are among the most reputable players in the industry. Check the top e-commerce SEO companies across the US.